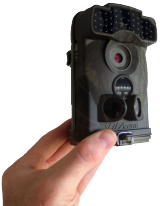 For more information about choosing a trail camera that is right for you, take a look at our blog post on trail cameras. 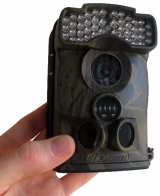 The Ltl Acorn 5310 is a portable infrared trail camera which records images (5MP with 12MP interpolation) and video (1920 x 1080) with audio onto an internal SD card. 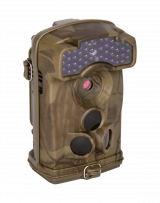 This trail camera has three built in motion sensors including two prep sensors designed to ensure you get optimum footage of your subject. The Acorn 5310 can be set to capture one, two or three images and one video per trigger. A time lapse feature is available allowing the user to program the camera to take a picture or capture video at set intervals. The camera holds four AA batteries as standard giving a running time of up to three months, this can be increased to up to six months by using the additional back pack which allows for eight AA batteries to be used. The 44 LED array allows video footage and pictures to be captured in complete darkness. The LEDs have a frequency of 940nm and have a range of approximately 16m. They do not glow when in use. Infrared brightness adjustment helps to ensure that close-up images aren't bleached out. The 5310 is also available with a cellular module fitted which allows the camera to send pictures to a mobile phone or e-mail address. 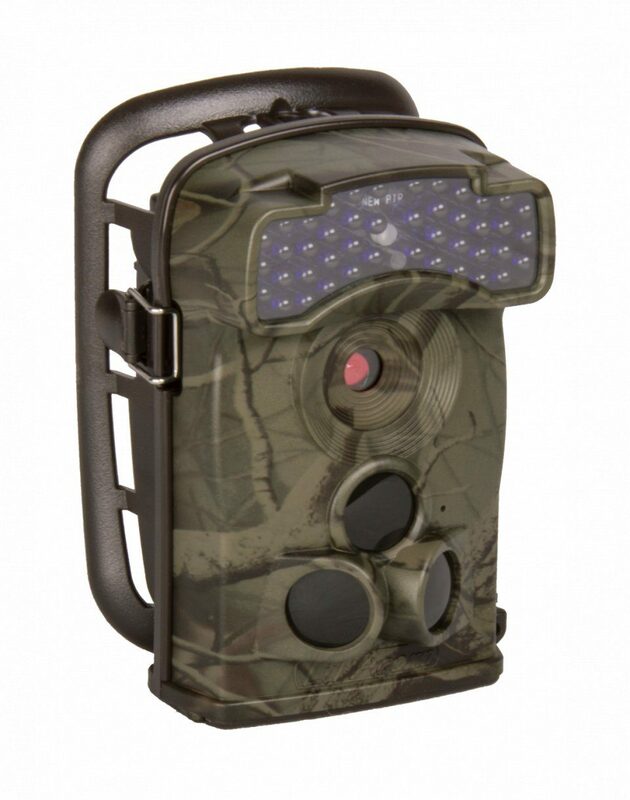 This camera also comes as a Starter Bundle which includes the trail camera, 12 x AA batteries and an 16GB SD card.